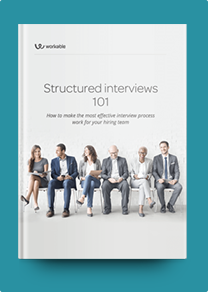 These sample Marketing Associate interview questions will help you assess candidates’ skills during your hiring process. Feel free to modify these questions to meet your specific needs. Marketing Associates manage the daily administrative tasks of a Marketing department and support its advertising campaigns. Candidates for this role should have a good understanding of sales and marketing metrics (e.g. conversion rates and web traffic.) As part of the hiring process, consider assigning a project or series of small tests to evaluate how candidates calculate KPIs using Excel formulas or other software you use. Junior candidates may have theoretical knowledge of industry terminology through a Marketing education. Ask them situational questions to gauge if they can apply their knowledge on the job. For candidates who have previous work experience, focus on behavioral questions that reveal how they managed past projects. How would you measure the effectiveness of a campaign? What metrics would you include in a spreadsheet that shows results from our advertising channels over time? We are launching a new product next month. How would you advertise it on social media? If you noticed a significant decline in our website traffic, what would be the first things you’d check? Why? What is your experience with paid advertising methods, like PPC or sponsored content campaigns? What steps do you take to conduct a competitor analysis? How can SEO increase traffic to our online content? Are you familiar with Google Adwords? Explain how Google Adwords helps us reach potential customers. When you need to explain marketing results, do you prefer reports or presentations? Why? Describe a marketing campaign you worked on that failed. What happened and what did you learn from the experience? Besides Marketing, what other internal teams do you usually collaborate with? (e.g. Sales and Product) Mention one to two team projects and describe your role in them. Describe the most difficult advertising project you’ve worked on. What challenges did you face and how did you overcome them?